Under Maryland family law, it is possible for a married couple to divorce without a lengthy process drawing out in the courts. To do so, the spouses must reach a mutual agreement concerning the terms of their marital separation. Then they must execute a written document that outlines the terms of their separation and submit that document to the Maryland courts. Although each marital separation agreement is individually tailored to the spouses in question, there are a number of categories that appear regularly in these documents. The following sections will provide an overview of five important considerations when negotiating a marital separation agreement in Maryland. The spouses acknowledge that they are both agreeing to separate and to resolve all issues and otherwise treat each other as if they were no longer married. Family home where the spouses lived. In order to execute a marital separation agreement, the spouses must agree on a method of property division to split up their marital assets. Also referred to as spousal support, alimony is a type of payment from one former spouse to the other. When applicable, these support payments address economic imbalances between the former spouses, including earning capacity and professional experience. A marital separation agreement should address the topic of alimony, even if both spouses agree not to receive support payments. If the former spouses have any children together, then the marital separation agreement should also address child custody. One spouse could receive sole legal custody of all children. Or the spouses can split their parental duties with a joint custody arrangement. Either way, the spouses must account for their children’s schedules, including school sessions, summer breaks, holidays, birthdays, and similarly important events. In addition to child custody, parents should also consider child support during the process of negotiating a marital separation agreement. If one parent will assume sole custody of all shared children, they will often receive compensation from the other parent. Moreover, the parents must decide how to split up the cost of health insurance, dental coverage, and similar childcare fees. If you need legal with a marital separation agreement in Maryland, it can be incredibly constructive to reach out to a trusted family law attorney. 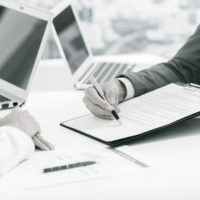 Based in Bel Air, Maryland, the attorneys at Schlaich & Thompson, Chartered have more than 60 years of combined legal experience in family and criminal law, including the drafting and interpretation of marital separation agreements. If you need legal help, contact us today for an initial consultation.